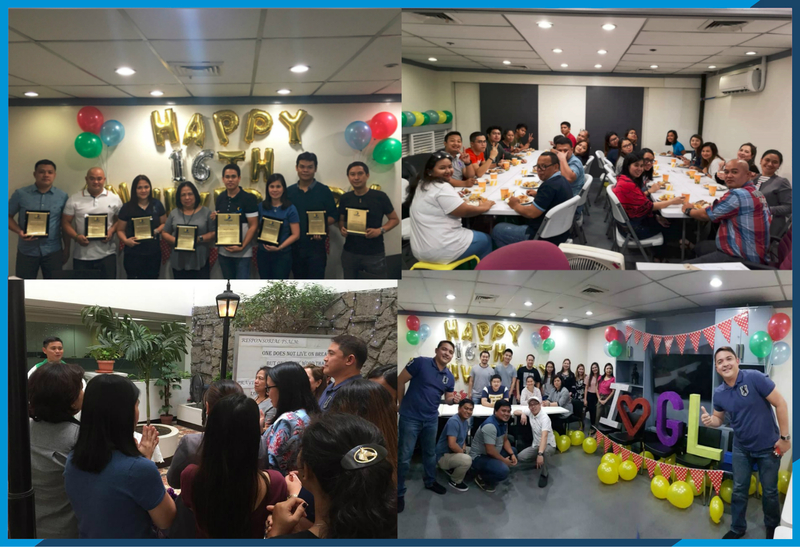 On Friday, the 2nd of July 2018, Gateway Logistics Inc, the Globalia member in Manila, Philippines, celebrated their 16th anniversary with a morning Mass which was held in their office. The entire office staff attended the Eucharist celebration while a few of them also sang in the choir. As a token of appreciation for the effort put forth by their staff and officers, Gateway Logistics gave out service awards to their entire team based on their years of service in the company. Team members who had been with them for 5 years, received a plaque of appreciation and a cash gift of Php 5,000. Members who worked for 10 and 15 years were awarded a cash gift of Php 10,000 and Php 15,000 respectively along with a plaque of appreciation. A Very Happy Birthday to Gateway Logistics Inc.!